Food writer, photographer and graphic designer Regula Ysewijn runs the blog 'Miss Foodwise'. She is also the author of the book Pride and Pudding, which was highly praised by Jamie Oliver, Fiona Beckett and many others. She lives in Belgium but often works from London. She is a true Anglophile, but at the same time she also cherishes her Flemish roots. This book is an ode to Belgian popular culture. 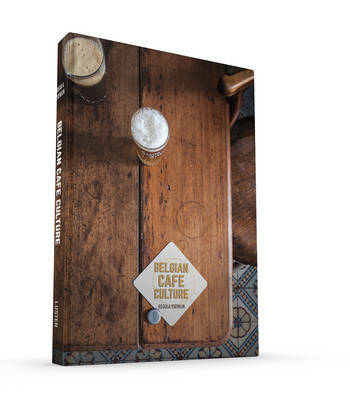 It is the result of countless visits to countless traditional Belgian cafes, where Regula talked to the regular guests and snapped many beautiful, touching photos. Throughout her book you can feel her love and passion for cultural ephemerality: things, places, and livelihoods in danger of fading. Regula wants you to know that these traditional Belgian cafes are much more than the brick and mortar that holds them together; they can be the epicentre of a community, standing strong even when their walls crumble and their decor ages, as they wait for the moment when the out-of-fashion becomes fashionable again.